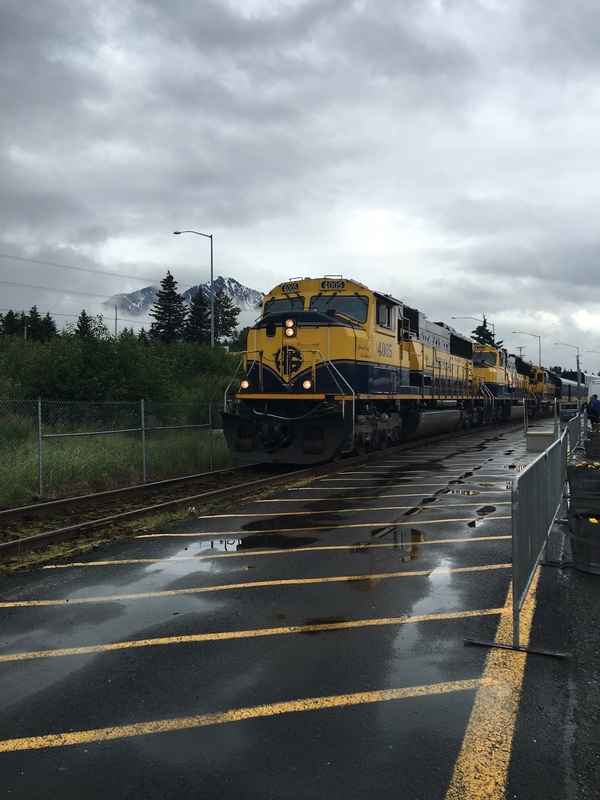 A few family members opted to arrive in Seward on the Alaska Railroad. They managed to get seats in one of the dome cars and the train slowed down when wildlife was spotted. Plus each car had a tour guide pointing things out as they passed. One of the other families mentioned that there were so many photo ops that it took them quite a while to make it from Anchorage to Seward due to all of the stops. 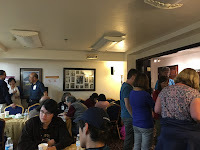 We had a light dinner available at "registration" plus they were able to pick up their t-shirts, backpacks full of Alaska necessities (mosquito repellant, snacks, etc.) and name tags. The room got pretty warm by the end of the evening. Most of the family is staying at Hotel Seward which about a block from the Alaska Sealife Center. This hotel was chosen for it's Alaska ambience and a wide choice in room styles to meet any budget. And we were able to rent the conference room for a couple of the meetups such as this. Too small for a sit down banquet which is scheduled for tomorrow a few miles down the road near Exit Glacier. Let the good times begin, Sharon wanted to drive down, but we have a forest of grass to chop down and needed to stay home. What, given a choice between mowing the lawn and riding to Seward you picked mowing! Great picture of the train. I imagine that is a good way to travel on a trip. The train ride is supposed to be pretty nice though I haven't ridden it in years.